Treat your iPAQ to an extended battery refurbishment service, this includes the fitting a brand new 2250 mAh battery, replacing the stylus lock with the latest hard wearing version. The screen is then given a full cleaning and is sealed to prevent future dust contamination. (If you have bright white specs behind your touch screen this is dust contamination). 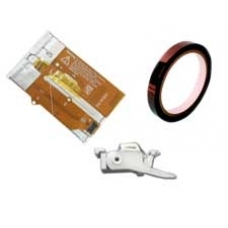 Your iPAQ will have any general maintenance performed, be fully tested and shipped straight back to you. This is an in-house iPAQ repair service, when ordering this service you are required to ship the Pocket PC into our repair centre for works to be undertaken.